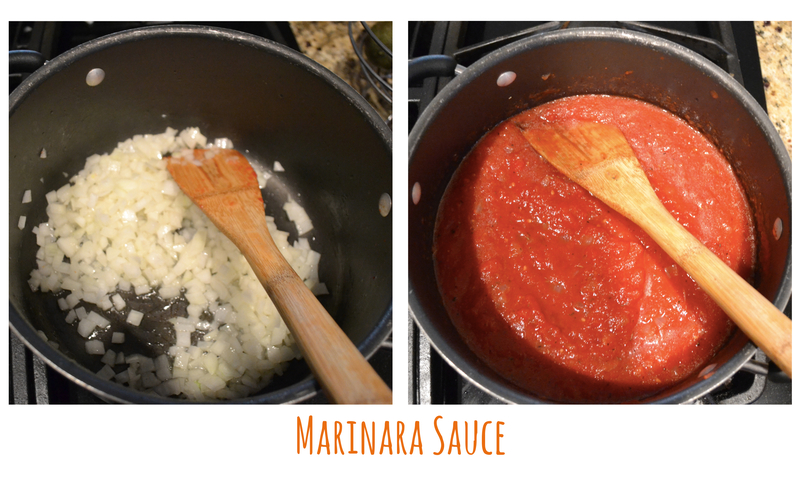 This marinara is so quick and easy, it has become a fast friend in my kitchen. You can add to it whatever ingredients you like and have on hand- fresh zucchini, carrots, or basil are just a few. I’m rarely picky about my canned food brands, but in this case, don’t settle for anything less than San Marzano. I use their crushed tomatoes to eliminate the blender step, but feel free to use the whole tomatoes. As long as they’re San Marzano. Ok, plug over. In a large pot, melt the butter and add the onions and garlic. Let cook for about 7-10 minutes, stirring with a wooden spoon, until the onions and garlic are soft and translucent. Add the crushed tomatoes and dried herbs. Stir and let simmer on low for 30 minutes, or until ready to serve. Before serving, stir in olive oil and season with salt and pepper. 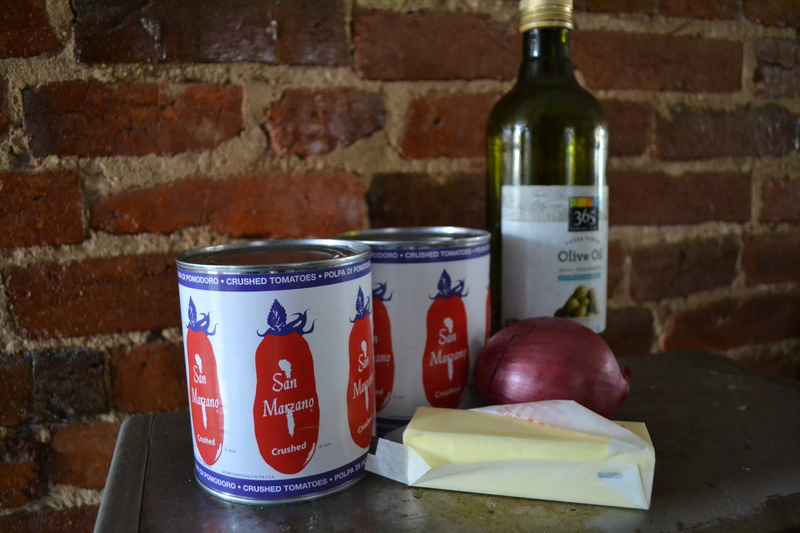 Use as pizza sauce, over pasta or veggies.